The Penguins return home tonight for their second game in as many nights and will look to put a tough loss behind them, as they rallied back from a three goal 3rd period deficit just to see the Islanders score the game winner with 27 seconds left in regulation. While it's difficult to be too concerned about a team currently tied for 4th in points in the league and on a 103 point pace, there are signs that a short offseason (worsened for those participating in the World Cup) has taken its toll on the team as a whole. They'll hope that they can turn their fortunes around at the expense of a team that has been hit hard by the injury bug this season, ranking third in the league with 127 man games lost as of Sunday. The injuries have piled up for the Stars and help explain how a team that finished with 109 points last season has fallen off so quickly. The team signed Jiri Hudler in the offseason to help bolster their top 6, but the winger has yet to register a point while appearing in only four games on the year. Ales Hemsky has managed to play in just a single game while recovering from a hip injury suffered during the World Cup, and Cody Eakin has been limited to just seven games as well. And while not injured, John Klingberg has been a healthy scratch at times this season and has largely struggled in his 3rd season, seeing both his scoring and possession numbers sharply decline in the absence of frequent partner Alex Goligoski, whose rights the team traded prior to free agency after being unable to work out an extension. Dallas has been led in recent years by the duo of Jamie Benn and Tyler Seguin, and the season to date has been no different. The two have finished 1-2 in scoring for the Stars since Seguin was acquired from Boston before the 2013-14 season, though for the first time it's Seguin (7g, 17a) finding himself in the team lead ahead of Benn (7g, 13a). Unfortunately for Dallas, they're the only two still scoring like the previous three season, during which the Stars led the league with 3.06 goals per game. Coupled with injuries and a backend that continues to get worse, the Stars have fallen to just 16th in scoring this year at 2.54 goals per game. While Dallas wasn't good last year in their own zone, finishing 20th in allowing 2.78 goals per game, they've been even worse so far this year, ranking dead last with a whopping 3.29 goals surrendered per contest. The Stars signed Antti Niemi during the 2015 offseason, hoping to pair him with Kari Lehtonen to create a formidable one-two punch in next, but so far all the decision has given them is arguably the league's worst production at the highest combined cap hit. Both Niemi (3.05 GAA; 0.096 SV%) and Lehtonen (3.28 GAA; 0.885 SV%) have been well below average both this season and last and are signed through the end of next season, further complicating the ability of GM Jim Nill to fix the problem. 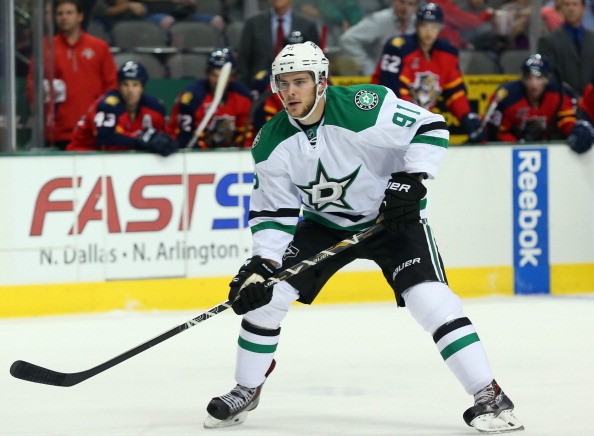 - Stars defenseman Stephen Johns will play against his hometown team for the first time as a pro. Johns was acquired by the Stars in the Patrick Sharp trade. - Traded along with Johns to Chicago was former Stars defenseman Trevor Daley, who will face his former team for the first time. - After getting Patric Hornqvist back for last night's game against the Islanders, the Penguins could have some more good news coming up on the injury front as Chris Kunitz is close to returning.